Are you ready for battle?! 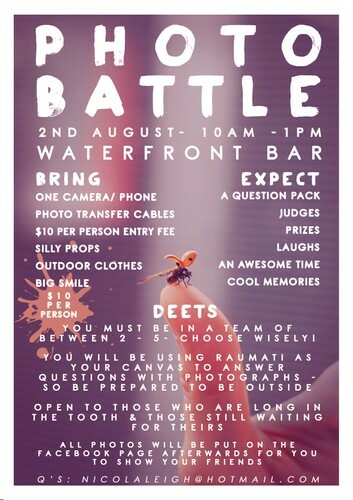 Come to Waterfront Bar Raumati Beach and battle the others for your place as photo-boss. Get your team of between 2 - 5 ready and prepare for battle!